Small business writing services for big business results! For a turnkey marketing solution or a simple proofread, talk to us. Most of our clients use us for both because we pack in the value to give you a much better return. Defining your USP needs a little brain surgery – your brain, our surgery. We question, we listen, we carve out your unique selling proposition and we put it to work. Tone of voice is such an important part of your brand. Big business knows that. Whether you’re a big business or small, we deliver in your tone of voice – every time. Our clients come from all sorts of business; highly technical to highly emotive, B2B and B2C, world class advertising agencies to start-up businesses and everything in between. They all know they need the right words to be effective. And that’s what we give them … sparkling good copy! 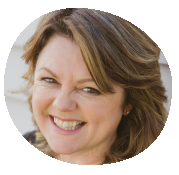 For the first time, New Zealand businesses have access to world class copywriting services through an Auckland copywriter. It’s no longer the realm of big businesses – you too, can have sparkling good copy that increase your sales and improves your profitability. Just get in touch. Website copywriting services give your visitors the best impression from the get go. “Hi Cara – Looks fantastic! Thanks for a great job” ~ Pete Smith, Auckland Windsurf. Specialist SEO copywriting makes your website deliver; yes, visitors... but more importantly, sales! Blog and article writing positions you as an ‘industry leader’. And we follow industry leaders’ advice. Brochures and print copy still works. In the selling process, you need powerful collateral to do its job. “The first time the agent used us, I asked how many people he wanted through the open home. He wanted 50. He got 100. 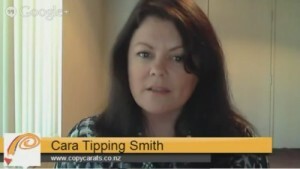 Twice.” ~ Cara Tipping Smith, Copy Carats. Direct marketing has to be smarter than ever to keep up; in print, online and increasingly in texts. “That email copy is really doing the job. We can personalise it exactly as you’ve templated and it sounds like it’s fresh every time.” ~ Private Insurance Company. Technical writing has to convince the technicians and the cheque writers. We know how to do both. “Wow, again! …Thank you, your ability to absorb technical information has surprised me!” ~ Dr SungHoon Im, Coherent Solutions. When you’re tendering or touting for sales opportunities, winning the business starts early. “Just thought I’d let you know we won the […] tender – thanks again for your help. Appears the value of the contract might be at least double initial estimates.” ~ One very satisfied customer. The right words read naturally, and get the message across. Every second matters. We use them well. It’s always about timing. If it’s too soon, no one understands. If it’s too late, everyone’s forgotten.” ~ Anna Wintour. I’ve been a copywriter first in New Zealand, then the UK, since 1997. My academic credentials include a degree in English and a first class Honours degree in Psychology… I’m even an occasional lecturer in Communications at AUT. But as importantly; I’ve sat on both sides of the buying desk – as a salesperson and a contracts manager, which gives me real-world insight into the sales cycle. Good copywriting is it’s about combining the art of language with the science of persuasion – and that’s what we do at Copy Carats. We use our combined skills to ensure your business messages work effectively in your markets. For us that’s measured in sales and profitability – yours! So when you need a professional, experienced copywriter to help with your business messaging, we’re the ones you need. All you have to do is get in touch.